Homesteading has a universal appeal that has something for everyone. Those who want to ensure they have the utmost control over what they put into their bodies know their next meal is coming from a source they know intimately. Meanwhile, those who tire of outside influences on their way of life can rest easy knowing that everything they need to live is within reach. Finally, those who have concerns about how the human race is treating the planet can build themselves a utopia where nothing goes to waste and resources are harvested responsibly. Yet despite the draw homesteading has on so many people, very few actually heed the call. People are discouraged by the apparent cost and difficulty of going off the grid and regaining their economic and ecological freedom. Others still are frightened of trying and failing to make it on their own without any help from others. While these are all completely valid fears – going your own way in a world designed to make you dependent upon everyone and everything else is absolutely terrifying – the truth is that adopting a homesteading lifestyle is nowhere as difficult as you might think. Here’s what you need to know about how to homestead. Our modern society has done its best to eradicate the ability of individuals to exist without depending on the outside world. This means that the skills you need to be an effective homesteader aren’t readily available. Thankfully, setting up your own homestead is a marathon, not a race. There’s no need for rushing or for shortcuts; when you get down to brass tacks, becoming a homesteader is something anyone can do as long as they take it slow and cover the basics slowly and methodically. Well before you dig your own water well or plant your first heirloom seed, you’ve got to work out exactly what you want to get out of homesteading. 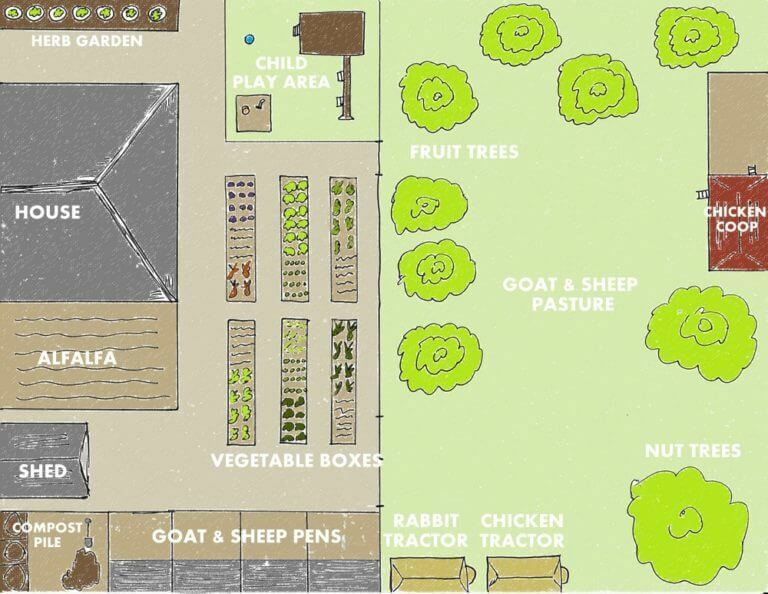 Do you just want to grow your own local produce? Do you want to have a selection of livestock? Are you going to be building your own eco-friendly home? Will you be using alternative energy sources like solar or wind? All of these questions need to be answered so you can plan accordingly. 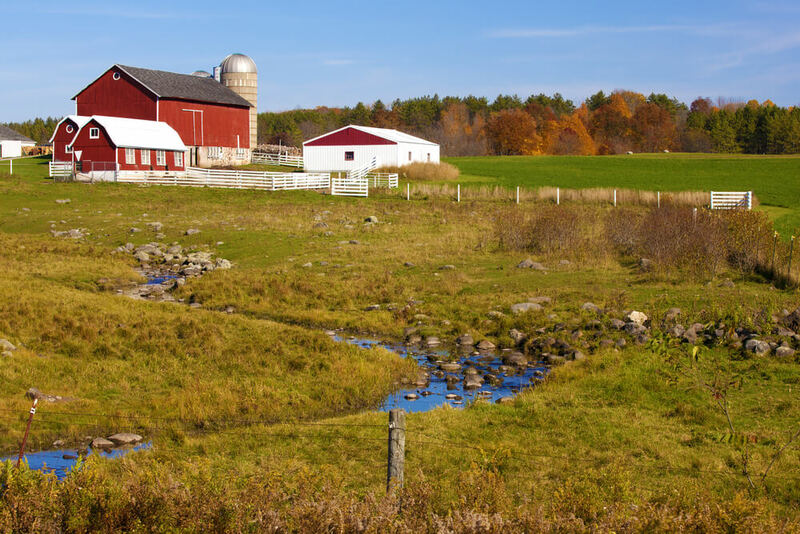 The more detail you put into your plan now, before the first shovel of dirt gets turned over, the better chances you’ll have of succeeding in your homesteading endeavor. Since there’s so much to plan and decide, this step can certainly take much longer than the others – but you can also make things easier on yourself by doing your research and talking to other homesteaders out there that have gone through the same steps you have. Your homestead isn’t going to be much to look at if you don’t actually have the “home” part situated. How much adaptation you’re going to need depends on your housing needs. If you’re starting from scratch – a parcel of land out in the country – you’ll need to construct an entire dwelling, one that’s insulated properly to keep out the winter cold; if you’re using an existing structure like a cabin or a house in a more suburban setting, you’ll have issues like off-grid living to contend with. Whatever your circumstances, you’ll have to decide on important issues such as how you’ll be heating your home in the winter as well as providing it with electricity and running water. At the core of homesteading is a desire to be self-sufficient, which means you are more than likely going to need non-municipal utility sources – putting aside some of your land or festooning your roof with a solar array is one excellent method for getting off the grid. Now that we’ve crossed keeping safe, warm, and dry off the list, it’s time to get to the business of actually living off the land. You’re going to have to figure out what you’re going to be planting for food and how you’re going to be planting it. While you’re not going to need the same resources and tools as a commercial farmer, you will need enough expertise when it comes to planting enough food crops of the right kind to keep you and your family survive. This can include simple raised box gardening, using a greenhouse to grow produce year round or even advanced self-sustaining aquaculture setups that provide you with plants and fish. You’ll also need to decide if you’ll be supplementing any of your crops with animal products. Many homesteaders will recommend purchasing a couple of chickens to provide fresh eggs, as they are an excellent source of nutrition; others still will espouse the values of having a few goats, pigs, or even a dairy cow. As far as the latter, having access to fresh milk – and therefore having the ability to create milk byproducts like cream, cheese, and butter – is a major boon. Plus, cow manure makes an excellent fertilizer for plants. Homesteaders tend to have lots of time on their hands during periods of harsh, cold weather. 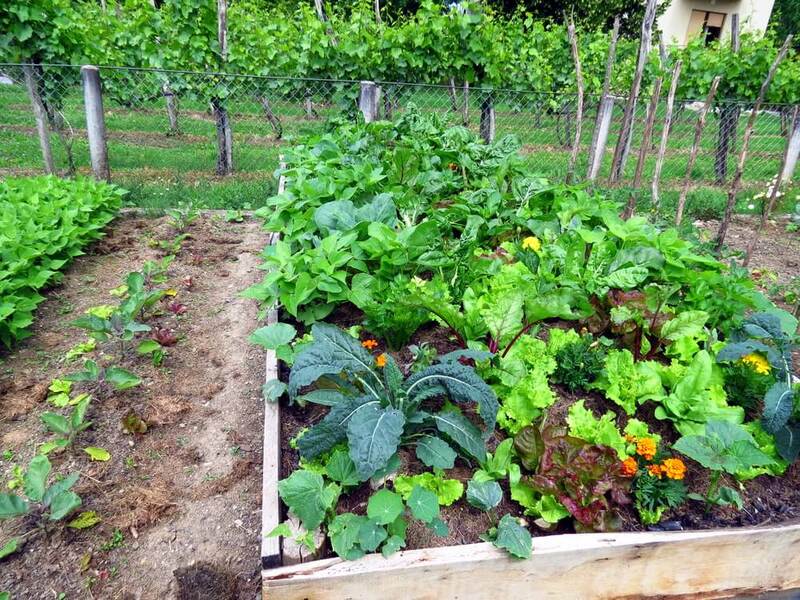 After spending the spring, summer, and fall constructing a residence, growing your own food, harvesting it, and then preserving it for the winter, there’s not much to do except settle in for a long winter’s nap. This provides ample opportunities to read up on new homesteading techniques that you’ll like to implement in the coming year as well as practice, develop, and perfect miscellaneous skills you’ll need year-round to avoid having to rely on others. Learning how to sew makes it easy to mend clothes that rip or tear, making it less likely you’ll have to replace an article of clothing altogether. Taking time to learn how to knit means you can make our own winter clothes – and if you keep livestock like a sheep or two, you can harvest their wool to make yarn. Creating household items like candles and soap or practicing your woodworking are all excellent winter projects. Additionally, any surplus clothes or items that you don’t need can always be sold in the spring, providing revenue you can put towards buying big-ticket items for the homestead that you can’t make yourself. Homesteading isn’t easy. If it was, everyone would do it. 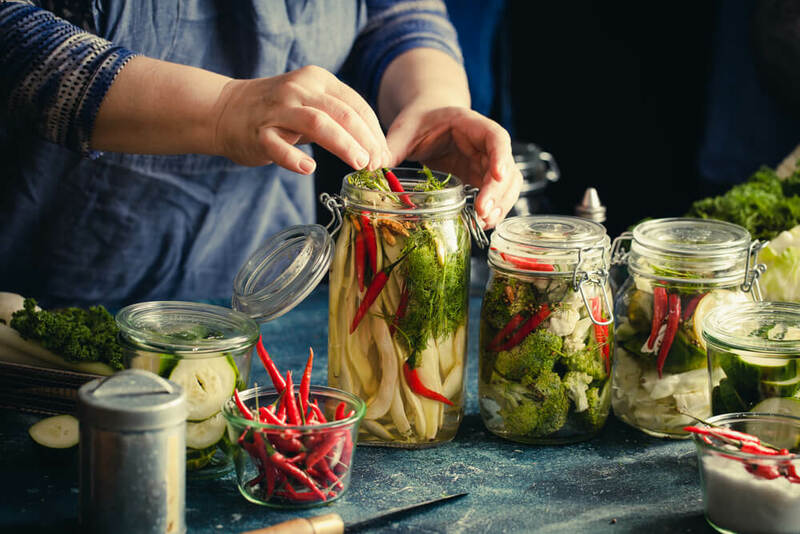 At the same time, it’s far from impossible – and the benefits to a homesteading lifestyle certainly outweigh the difficulties. Short guides like this one are excellent as an introduction to how to homestead, but they’re really just the tip of the iceberg – there’s so much more to learn about each and every topic discussed above. The best way to shortcut your success and save you a ton of time is to model systems that are already proven to be successful. There is no need to recreate the wheel. Just follow a proven system to achieve the results you want. The homesteading alliance members area is Filled with all the info you’ll ever need, has the answers you seek, whether you’re brand new to homesteading or you’re an old pro. Join one of the best online homesteading communities in the world today!